Who can enter the Philippines without entry visa? We continuously encourage students to“Learn English through daily conversation”. We are fully committed to the students’ growth and diversified learning path through various industrial collaborations. Our vision is to develop 3D ESL into a global brand. The leader of 3D is a young entrepreneur, with business across Japan, Singapore and the Philippines. Despite being a successful businessman, he still relentlessly devoted his time into studying. He is currently enrolling into the EMBA program of the University of Chicago Booth, one of the top MBA institutes in the world. Under his leadership, 3D aims to strive towards excellence and to spread our network to every part of the world. In 3D, we believe that English is the most important tool to expand students’ horizons and to cultivate their international perspectives. We believe that a good command of English will offer students endless opportunities as the globalization trend continues. Hence, we are devoted to lay down the most solid foundation in your English learning journey towards a better future! The most difficult part of learning English (Or any other language) is that it is not a subject or discipline where you could basically sail through with hard work and memorization. It is all about PRACTICE! To speak English fluently, you have to be able to express your thinking naturally with this language, as if you are speaking your mother tongue. 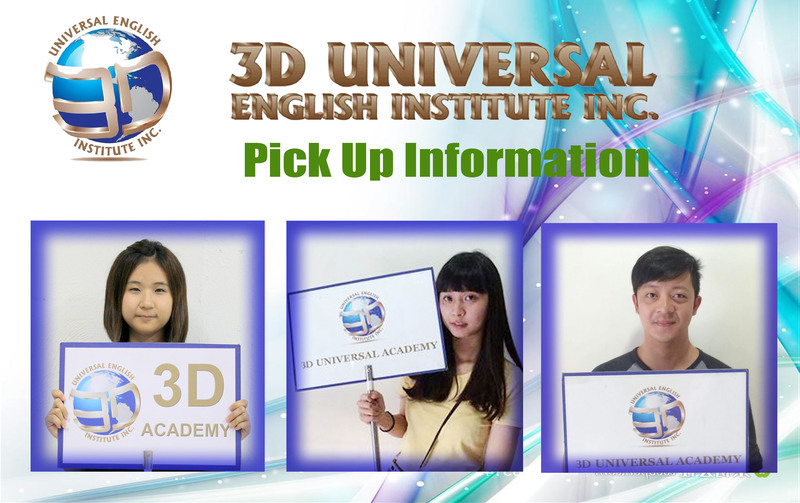 In 3D, we believe that the most effective way of learning English is by immersing yourself into a total English environment. We have developed a range of methods by integrating the daily entertainment and syllabus into your 1:1 class to help harnessing your English communication skills.